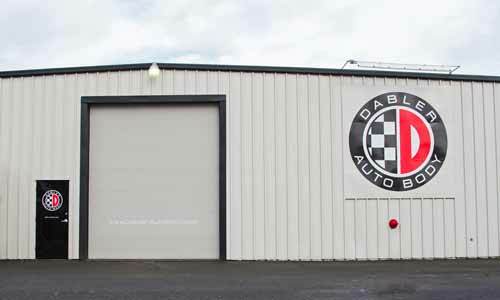 Dabler Auto Body has always focused on improving our repair process with two goals in mind – shorter repair times and improved customer satisfaction. To achieve our goals, we’ve organized our repair efficiency process around BASF’s Advance Process Solutions (APS). In the past, after we implemented the new process, we were able to dramatically reduce the length of time it takes to repair vehicles. We saw an average of 30- 50% improvement over time, and more importantly, a complete understanding of the bottlenecks and other areas in need of improvement over time. Yes you’re reading that correctly. With our own APS process in place, we can return your vehicle substantially faster than the industry average! Dabler Auto Body’s Cycle Times are even shorter for our insurance partners. When the vehicle is thoroughly inspected, your needs and concerns are included. Any dirt and debris present is eliminated to allow an accurate damage inspection. The car is visually “mapped” to avoid confusion during the repair process. Your vehicle is completly dissassembled within four hours of drop-off to achieve 100% accuracy on parts and labor. While we wait for approval and parts to arrive, awe complete various mechan ical repairs to save time. The damage to the vehicle is fixed and the vehicle is painted. All parts are put back together, and a final quality check is performed to ensure we meet the highest quality standards. Because we do such a thorough up-front discovery, we are able to reduce the need for supplements and rarely miss damage. We may never be perfect, but our goal is to require zero supplements during the repair, saving crucial time. Missed delivery dates are the most common reasons customers give low customer satisfaction scores. With our on-time deliveries below the industry average, our customer satisfaction is very high. Our top notch ratings show it, read them yourself. At the time of this writing we have a 4.8/5 stars on Google reviews! Having a fast repair means nothing if you have to bring back your vehicle a second time. We continually invest in industry training and state of the art equipment insuring first-time quality and meeting or exceeding approved repair guidelines, and all of our repairs come with a lifetime warranty.